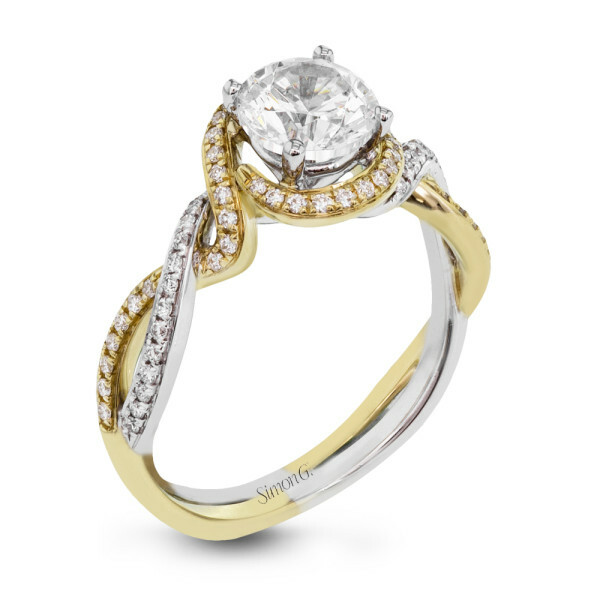 This engagement setting from the Simon G. Fabled collection tells the story of your love luminously! 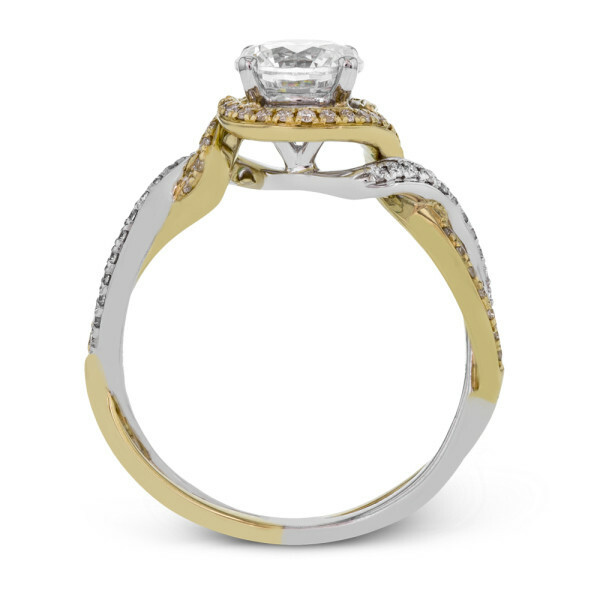 Crafted in 18kt white and yellow gold, the two-tone token of your affection features a twisting ribbon-like pave diamond band to support your round brilliant center stone. Simon G. knows how to craft a legendary engagement setting that will be worn and treasured for years to come!